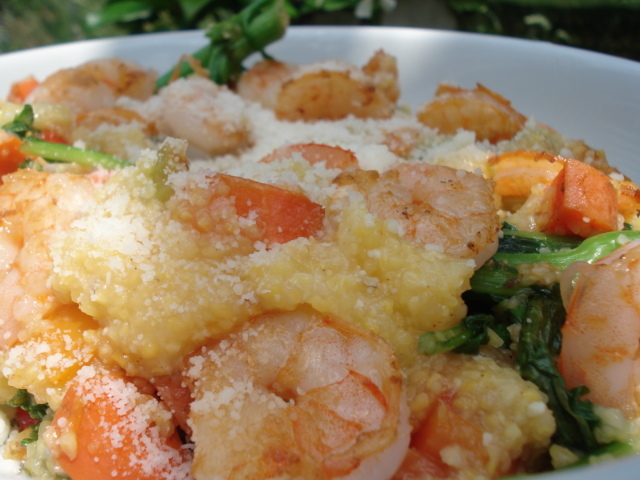 Grits are so simple to make...you hardly need a recipe. And there appears to be no right or wrong way to cook them. They seem to come out the same. Assuming you start with the proper amount of water, about the only way to go wrong is to burn them. Yes, I remember �My Cousin VInnie�. Excellent flick, I thought Grits are a curious thing, though. They�re nutritionally almost empty. Flavor-wise, they�re not much to write home about, either. Gradually whisk in the grits, 1? teaspoons salt, and ? teaspoon pepper. Reduce heat to low and simmer, whisking frequently, until soft and creamy, 6 to 8 minutes. Remove from heat and stir in the butter and cream.